Roto-Rooter Ventura offer affordable and fast plumbing repairs and replacement in the California area, as well as septic tank installation and repair. It is recommended that you regularly inspect and have maintenance done on your septic tank to make sure that there is no problems with it. 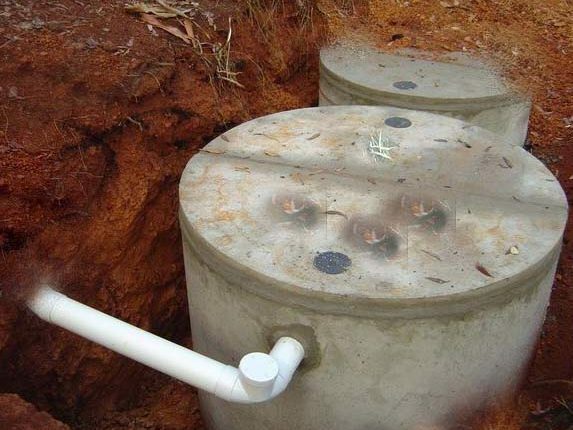 If there is a problem with your septic tank and it’s ignored, after a while it may lead to you needing to have your septic tank replaced, which may cost thousands of dollars. During this process, technicians first need to inspect your septic tank and the following lines connected to it to determine if your septic tank is in need to repair or replacement. After the inspection, the proper planning and obtaining of permits will be done to fix or replace your septic tank. If the septic tank is underground, the landscape surrounding it will be excavated to better reach the tank. The tank will then be secured to be repaired and/or replaced. The excavation needed would not be too excessive since they will only dig up the landscape needed to access the septic tank. Surrounding electrical lines, driveways, roads, wells, etc. will all be put into consideration during the excavation, guaranteeing that none of these key aspect of your home and/or business is harmed in the process. By replacing or repairing your septic tank with Roto-Rooter Ventura, it is guaranteed that your septic tank will last for years to come. It is important to keep your septic tank regularly maintained and inspected because it is essential for providing long-term, effective treatment of your wastewater. This wastewater treatment involves removing solids from the wastewater before it enters the drainage field. If not maintained properly, it may cost you anywhere up to thousands of dollars to replace it. If you live in the California area and wish for your septic tank to get inspected, installed, or repaired, call Roto-Rooter Ventura today.